What is in the best interest of our students? Is it teaching to the newest standards movement, like the Common Core? Teaching that prepares students to take a test? Or is it something more meaningful and authentic? Dialing up the amount of reading and writing students are doing. Balancing rigorous, high-quality literature and non-fiction with high-interest, student-selected titles. Giving students much more choice when it comes to reading and writing activities. Encouraging readers to deepen their comprehension by moving beyond the "four corners of the text." Using modeling to enrich students' writing skills in the prewriting, drafting, and revision stages. Helping young writers to achieve more authenticity through the blending of genres. Resisting the de-emphasis of narrative and imaginative reading and writing. Planning lessons that move beyond Common Core expectations. Providing students with more opportunities to sharpen their listening and speaking skills. 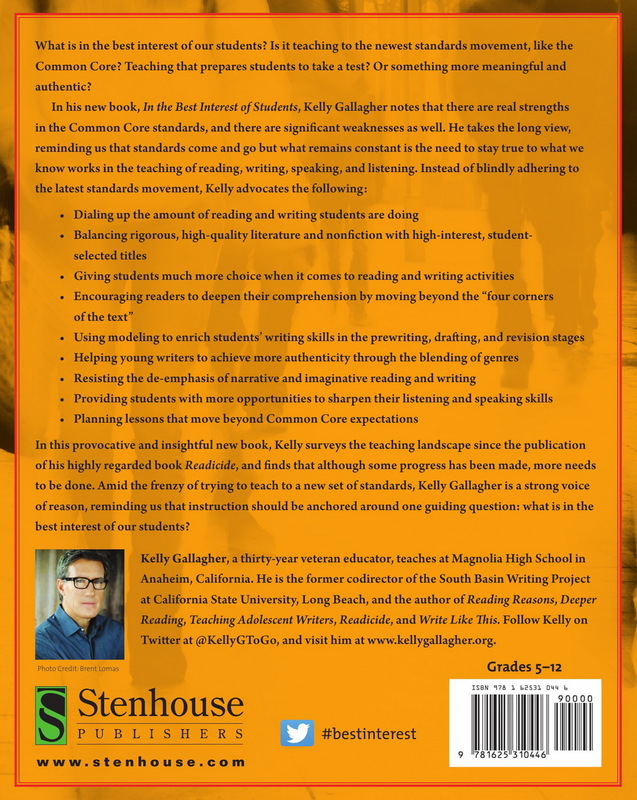 In this provocative and insightful new book, Kelly surveys the teaching landscape since the publication of his highly regarded book Readicide, and finds that although some progress has been made, more needs to be done. 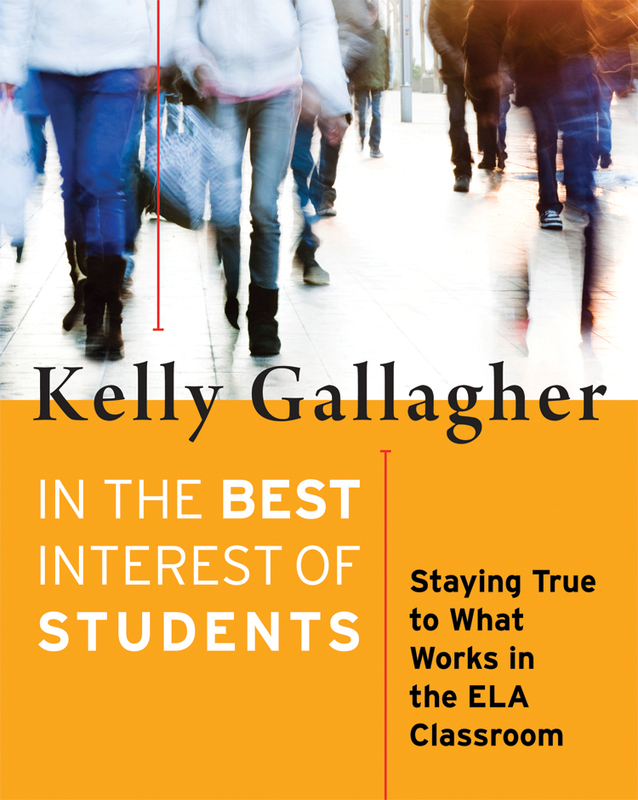 Amid the frenzy of trying to teach to a new set of standards, Kelly Gallagher is a strong voice of reason, reminding us that instruction should be anchored in one guiding question: What is in the best interest of our students?